Liczba stron: 330 Jest to ujednolicona liczba stron, która ułatwi Ci porównanie długości książek. Każda strona Legimi to 200 słów. The Meditations of Marcus Aurelius (AD 121-180) offer a remarkable series of challenging spiritual reflections and exercises developed as the emperor struggled to understand himself and make sense of the universe. Ranging from doubt and despair to conviction and exaltation, they cover such diverse topics as the nature of moral virtue, human rationality, divine providence, and Marcus' own emotions. 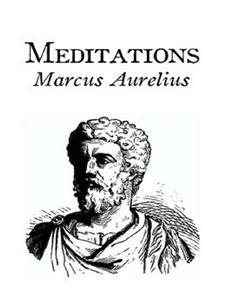 But while the Meditations were composed to provide personal consolation and encouragement, in developing his beliefs Marcus Aurelius also created one of the greatest of all works of philosophy: a timeless collection of extended Meditations and short aphorisms that has been consulted and admired by statesmen, thinkers and readers through the centuries. MARCUS AURELIUS ANTONINUS was born on April 26, A.D. 121. His real name was M. Annius Verus, and he was sprung of a noble family which claimed descent from Numa, second King of Rome. Thus the most religious of emperors came of the blood of the most pious of early kings. His father, Annius Verus, had held high office in Rome, and his grandfather, of the same name, had been thrice Consul. Both his parents died young, but Marcus held them in loving remembrance. On his father's death Marcus was adopted by his grandfather, the consular Annius Verus, and there was deep love between these two. On the very first page of his book Marcus gratefully declares how of his grandfather he had learned to be gentle and meek, and to refrain from all anger and passion. The Emperor Hadrian divined the fine character of the lad, whom he used to call not Verus but Verissimus, more Truthful than his own name. He advanced Marcus to equestrian rank when six years of age, and at the age of eight made him a member of the ancient Salian priesthood. The boy's aunt, Annia Galeria Faustina, was married to Antoninus Pius, afterwards emperor. Hence it came about that Antoninus, having no son, adopted Marcus, changing his name to that which he is known by, and betrothed him to his daughter Faustina. His education was conducted with all care. The ablest teachers were engaged for him, and he was trained in the strict doctrine of the Stoic philosophy, which was his great delight. He was taught to dress plainly and to live simply, to avoid all softness and luxury. His body was trained to hardihood by wrestling, hunting, and outdoor games; and though his constitution was weak, he showed great personal courage to encounter the fiercest boars. At the same time he was kept from the extravagancies of his day. The great excitement in Rome was the strife of the Factions, as they were called, in the circus. The racing drivers used to adopt one of four colours—red, blue, white, or green—and their partisans showed an eagerness in supporting them which nothing could surpass. Riot and corruption went in the train of the racing chariots; and from all these things Marcus held severely aloof. Antoninus Pius died in 161, and Marcus assumed the imperial state. He at once associated with himself L. Ceionius Commodus, whom Antoninus had adopted as a younger son at the same time with Marcus, giving him the name of Lucius Aurelius Verus. Henceforth the two are colleagues in the empire, the junior being trained as it were to succeed. No sooner was Marcus settled upon the throne than wars broke out on all sides. In the east, Vologeses III. of Parthia began a long-meditated revolt by destroying a whole Roman Legion and invading Syria (162). Verus was sent off in hot haste to quell this rising; and he fulfilled his trust by plunging into drunkenness and debauchery, while the war was left to his officers. Soon after Marcus had to face a more serious danger at home in the coalition of several powerful tribes on the northern frontier. Chief among those were the Marcomanni or Marchmen, the Quadi (mentioned in this book), the Sarmatians, the Catti, the Jazyges. In Rome itself there was pestilence and starvation, the one brought from the east by Verus's legions, the other caused by floods which had destroyed vast quantities of grain. After all had been done possible to allay famine and to supply pressing needs—Marcus being forced even to sell the imperial jewels to find money—both emperors set forth to a struggle which was to continue more or less during the rest of Marcus's reign. During these wars, in 169, Verus died. We have no means of following the campaigns in detail; but thus much is certain, that in the end the Romans succeeded in crushing the barbarian tribes, and effecting a settlement which made the empire more secure. Marcus was himself commander-in-chief, and victory was due no less to his own ability than to his wisdom in choice of lieutenants, shown conspicuously in the case of Pertinax. There were several important battles fought in these campaigns; and one of them has become celebrated for the legend of the Thundering Legion. In a battle against the Quadi in 174, the day seemed to be going in favour of the foe, when on a sudden arose a great storm of thunder and rain the lightning struck the barbarians with terror, and they turned to rout. In later days this storm was said to have been sent in answer to the prayers of a legion which contained many Christians, and the name Thundering Legion should be given to it on this account. The title of Thundering Legion is known at an earlier date, so this part of the story at least cannot be true; but the aid of the storm is acknowledged by one of the scenes carved on Antonine's Column at Rome, which commemorates these wars. The settlement made after these troubles might have been more satisfactory but for an unexpected rising in the east. Avidius Cassius, an able captain who had won renown in the Parthian wars, was at this time chief governor of the eastern provinces. By whatever means induced, he had conceived the project of proclaiming himself emperor as soon as Marcus, who was then in feeble health, should die; and a report having been conveyed to him that Marcus was dead, Cassius did as he had planned. Marcus, on hearing the news, immediately patched up a peace and returned home to meet this new peril. The emperors great grief was that he must needs engage in the horrors of civil strife. He praised the qualities of Cassius, and expressed a heartfelt wish that Cassius might not be driven to do himself a hurt before he should have the opportunity to grant a free pardon. But before he could come to the east news had come to Cassius that the emperor still lived; his followers fell away from him, and he was assassinated. Marcus now went to the east, and while there the murderers brought the head of Cassius to him; but the emperor indignantly refused their gift, nor would he admit the men to his presence. The good emperor was not spared domestic troubles. Faustina had borne him several children, of whom he was passionately fond. Their innocent faces may still be seen in many a sculpture gallery, recalling with odd effect the dreamy countenance of their father. But they died one by one, and when Marcus came to his own end only one of his sons still lived—the weak and worthless Commodus. On his father's death Commodus, who succeeded him, undid the work of many campaigns by a hasty and unwise peace; and his reign of twelve years proved him to be a ferocious and bloodthirsty tyrant. Scandal has made free with the name of Faustina herself, who is accused not only of unfaithfulness, but of intriguing with Cassius and egging him on to his fatal rebellion, it must be admitted that these charges rest on no sure evidence; and the emperor, at all events, loved her dearly, nor ever felt the slightest qualm of suspicion. As a soldier we have seen that Marcus was both capable and successful; as an administrator he was prudent and conscientious. Although steeped in the teachings of philosophy, he did not attempt to remodel the world on any preconceived plan. He trod the path beaten by his predecessors, seeking only to do his duty as well as he could, and to keep out corruption. He did some unwise things, it is true. To create a compeer in empire, as he did with Verus, was a dangerous innovation which could only succeed if one of the two effaced himself; and under Diocletian this very precedent caused the Roman Empire to split into halves. He erred in his civil administration by too much centralising. But the strong point of his reign was the administration of justice. Marcus sought by-laws to protect the weak, to make the lot of the slaves less hard, to stand in place of father to the fatherless. Charitable foundations were endowed for rearing and educating poor children. The provinces were protected against oppression, and public help was given to cities or districts which might be visited by calamity. The great blot on his name, and one hard indeed to explain, is his treatment of the Christians. In his reign Justin at Rome became a martyr to his faith, and Polycarp at Smyrna, and we know of many outbreaks of fanaticism in the provinces which caused the death of the faithful. It is no excuse to plead that he knew nothing about the atrocities done in his name: it was his duty to know, and if he did not he would have been the first to confess that he had failed in his duty. But from his own tone in speaking of the Christians it is clear he knew them only from calumny; and we hear of no measures taken even to secure that they should have a fair hearing. In this respect Trajan was better than he. This dictum might easily be taken to mean that virtue consists in yielding to each natural impulse; but that was very far from the Stoic meaning. In order to live in accord with nature, it is necessary to know what nature is; and to this end a threefold division of philosophy is made—into Physics, dealing with the universe and its laws, the problems of divine government and teleology; Logic, which trains the mind to discern true from false; and Ethics, which applies the knowledge thus gained and tested to practical life. The Stoic system of physics was materialism with an infusion of pantheism. In contradiction to Plato's view that the Ideas, or Prototypes, of phenomena alone really exist, the Stoics held that material objects alone existed; but immanent in the material universe was a spiritual force which acted through them, manifesting itself under many forms, as fire, aether, spirit, soul, reason, the ruling principle. The universe, then, is God, of whom the popular gods are manifestations; while legends and myths are allegorical. The soul of man is thus an emanation from the godhead, into whom it will eventually be re-absorbed. The divine ruling principle makes all things work together for good, but for the good of the whole. The highest good of man is consciously to work with God for the common good, and this is the sense in which the Stoic tried to live in accord with nature. In the individual it is virtue alone which enables him to do this; as Providence rules the universe, so virtue in the soul must rule man. In Logic, the Stoic system is noteworthy for their theory as to the test of truth, the Criterion. They compared the new-born soul to a sheet of paper ready for writing. Upon this the senses write their impressions, fantasias and by experience of a number of these the soul unconsciously conceives general notions koinai eunoiai or anticipations. prolhyeis When the impression was such as to be irresistible it was called (katalnptikh fantasia) one that holds fast, or as they explained it, one proceeding from truth. Ideas and inferences artificially produced by deduction or the like were tested by this 'holding perception.' Of the Ethical application I have already spoken. The highest good was the virtuous life. Virtue alone is happiness, and vice is unhappiness. Carrying this theory to its extreme, the Stoic said that there could be no gradations between virtue and vice, though of course each has its special manifestations. Moreover, nothing is good but virtue, and nothing but vice is bad. Those outside things which are commonly called good or bad, such as health and sickness, wealth and poverty, pleasure and pain, are to him indifferent adiofora. All these things are merely the sphere in which virtue may act. The ideal Wise Man is sufficient unto himself in all things, autarkhs and knowing these truths, he will be happy even when stretched upon the rack. It is probable that no Stoic claimed for himself that he was this Wise Man, but that each strove after it as an ideal much as the Christian strives after a likeness to Christ. The exaggeration in this statement was, however, so obvious, that the later Stoics were driven to make a further subdivision of things indifferent into what is preferable (prohgmena) and what is undesirable. They also held that for him who had not attained to the perfect wisdom, certain actions were proper. (kaqhkonta) These were neither virtuous nor vicious, but, like the indifferent things, held a middle place. Two points in the Stoic system deserve special mention. One is a careful distinction between things which are in our power and things which are not. Desire and dislike, opinion and affection, are within the power of the will; whereas health, wealth, honour, and other such are generally not so. The Stoic was called upon to control his desires and affections, and to guide his opinion; to bring his whole being under the sway of the will or leading principle, just as the universe is guided and governed by divine Providence. This is a special application of the favourite Greek virtue of moderation, (swfrosuum) and has also its parallel in Christian ethics. The second point is a strong insistence on the unity of the universe, and on man's duty as part of a great whole. Public spirit was the most splendid political virtue of the ancient world, and it is here made cosmopolitan. It is again instructive to note that Christian sages insisted on the same thing. Christians are taught that they are members of a worldwide brotherhood, where is neither Greek nor Hebrew, bond nor free and that they live their lives as fellow-workers with God. Such is the system which underlies the Meditations of Marcus Aurelius. Some knowledge of it is necessary to the right understanding of the book, but for us the chief interest lies elsewhere. We do not come to Marcus Aurelius for a treatise on Stoicism. He is no head of a school to lay down a body of doctrine for students; he does not even contemplate that others should read what he writes. His philosophy is not an eager intellectual inquiry, but more what we should call religious feeling. The uncompromising stiffness of Zeno or Chrysippus is softened and transformed by passing through a nature reverent and tolerant, gentle and free from guile; the grim resignation which made life possible to the Stoic sage becomes in him almost a mood of aspiration. His book records the innermost thoughts of his heart, set down to ease it, with such moral maxims and reflections as may help him to bear the burden of duty and the countless annoyances of a busy life. It is instructive to compare the Meditations with another famous book, the Imitation of Christ. There is the same ideal of self-control in both. It should be a man's task, says the Imitation, 'to overcome himself, and every day to be stronger than himself.' 'In withstanding of the passions standeth very peace of heart.' 'Let us set the axe to the root, that we being purged of our passions may have a peaceable mind.' To this end there must be continual self-examination. 'If thou may not continually gather thyself together, namely sometimes do it, at least once a day, the morning or the evening. In the morning purpose, in the evening discuss the manner, what thou hast been this day, in word, work, and thought.' But while the Roman's temper is a modest self-reliance, the Christian aims at a more passive mood, humbleness and meekness, and reliance on the presence and personal friendship of God. The Roman scrutinises his faults with severity, but without the self-contempt which makes the Christian 'vile in his own sight.' The Christian, like the Roman, bids 'study to withdraw thine heart from the love of things visible'; but it is not the busy life of duty he has in mind so much as the contempt of all worldly things, and the 'cutting away of all lower delectations.' Both rate men's praise or blame at their real worthlessness; 'Let not thy peace,' says the Christian, 'be in the mouths of men.' But it is to God's censure the Christian appeals, the Roman to his own soul. The petty annoyances of injustice or unkindness are looked on by each with the same magnanimity. 'Why doth a little thing said or done against thee make thee sorry? It is no new thing; it is not the first, nor shall it be the last, if thou live long. At best suffer patiently, if thou canst not suffer joyously.' The Christian should sorrow more for other men's malice than for our own wrongs; but the Roman is inclined to wash his hands of the offender. 'Study to be patient in suffering and bearing other men's defaults and all manner infirmities,' says the Christian; but the Roman would never have thought to add, 'If all men were perfect, what had we then to suffer of other men for God?' The virtue of suffering in itself is an idea which does not meet us in the Meditations. Both alike realise that man is one of a great community. 'No man is sufficient to himself,' says the Christian; 'we must bear together, help together, comfort together.' But while he sees a chief importance in zeal, in exalted emotion that is, and avoidance of lukewarmness, the Roman thought mainly of the duty to be done as well as might be, and less of the feeling which should go with the doing of it. To the saint as to the emperor, the world is a poor thing at best. 'Verily it is a misery to live upon the earth,' says the Christian; few and evil are the days of man's life, which passeth away suddenly as a shadow. If his was that honest and true heart which is the Christian ideal, this is the more wonderful in that he lacked the faith which makes Christians strong. He could say, it is true, 'either there is a God, and then all is well; or if all things go by chance and fortune, yet mayest thou use thine own providence in those things that concern thee properly; and then art thou well.' Or again, 'We must needs grant that there is a nature that doth govern the universe.' But his own part in the scheme of things is so small, that he does not hope for any personal happiness beyond what a serene soul may win in this mortal life. 'O my soul, the time I trust will be, when thou shalt be good, simple, more open and visible, than that body by which it is enclosed;' but this is said of the calm contentment with human lot which he hopes to attain, not of a time when the trammels of the body shall be cast off. For the rest, the world and its fame and wealth, 'all is vanity.' The gods may perhaps have a particular care for him, but their especial care is for the universe at large: thus much should suffice. His gods are better than the Stoic gods, who sit aloof from all human things, untroubled and uncaring, but his personal hope is hardly stronger. On this point he says little, though there are many allusions to death as the natural end; doubtless he expected his soul one day to be absorbed into the universal soul, since nothing comes out of nothing, and nothing can be annihilated. His mood is one of strenuous weariness; he does his duty as a good soldier, waiting for the sound of the trumpet which shall sound the retreat; he has not that cheerful confidence which led Socrates through a life no less noble, to a death which was to bring him into the company of gods he had worshipped and men whom he had revered. But although Marcus Aurelius may have held intellectually that his soul was destined to be absorbed, and to lose consciousness of itself, there were times when he felt, as all who hold it must sometimes feel, how unsatisfying is such a creed. Then he gropes blindly after something less empty and vain. 'Thou hast taken ship,' he says, 'thou hast sailed, thou art come to land, go out, if to another life, there also shalt thou find gods, who are everywhere.' There is more in this than the assumption of a rival theory for argument's sake. If worldly things 'be but as a dream, the thought is not far off that there may be an awakening to what is real. When he speaks of death as a necessary change, and points out that nothing useful and profitable can be brought about without change, did he perhaps think of the change in a corn of wheat, which is not quickened except it die? Nature's marvellous power of recreating out of Corruption is surely not confined to bodily things. Many of his thoughts sound like far-off echoes of St. Paul; and it is strange indeed that this most Christian of emperors has nothing good to say of the Christians. To him they are only sectaries 'violently and passionately set upon opposition. By the irony of fate this man, so gentle and good, so desirous of quiet joys and a mind free from care, was set at the head of the Roman Empire when great dangers threatened from east and west. For several years he himself commanded his armies in chief. In camp before the Quadi he dates the first book of his Meditations, and shows how he could retire within himself amid the coarse clangour of arms. The pomps and glories which he despised were all his; what to most men is an ambition or a dream, to him was a round of weary tasks which nothing but the stern sense of duty could carry him through. And he did his work well. His wars were slow and tedious, but successful. With a statesman's wisdom he foresaw the danger to Rome of the barbarian hordes from the north, and took measures to meet it. As it was, his settlement gave two centuries of respite to the Roman Empire; had he fulfilled the plan of pushing the imperial frontiers to the Elbe, which seems to have been in his mind, much more might have been accomplished. But death cut short his designs. Translations THE following is a list of the chief English translations of Marcus Aurelius: (1) By Meric Casaubon, 1634; (2) Jeremy Collier, 1701; (3) James Thomson, 1747; (4) R. Graves, 1792; (5) H. McCormac, 1844; (6) George Long, 1862; (7) G. H. Rendall, 1898; and (8) J. Jackson, 1906. Renan's "Marc-Aurèle"—in his "History of the Origins of Christianity," which appeared in 1882—is the most vital and original book to be had relating to the time of Marcus Aurelius. Pater's "Marius the Epicurean" forms another outside commentary, which is of service in the imaginative attempt to create again the period.